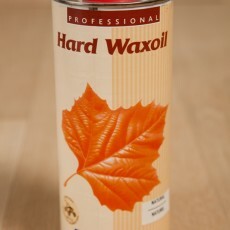 What Other Products Do I Need When Fitting Oak Flooring? 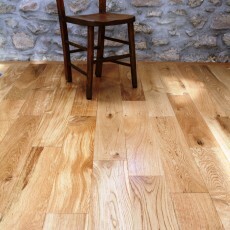 Home/News/What Other Products Do I Need When Fitting Oak Flooring? 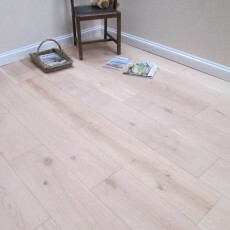 You have selected the perfect oak flooring for your interior. 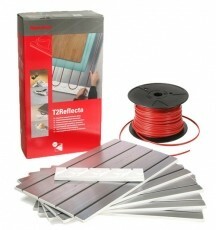 You have ordered the correct quantity to ensure a complete and consistent fitting across your floor. You have purchased and organised all of the inlay that is required for the optimum foundation on which to lay your flooring. Everything is good to go, right? This is not always the case. All too often, when purchasing oak flooring customers overlook the additional accessories that are required in order to not only ensure stunning aesthetics, but also a seamless integration throughout an interior. The little accessories that make the floorboards blend into doorways, walls and stair sets. Also the additional accessories that are required to secure these fixtures and provide longevity and durability. In order to help our customers with all of the required accessories to fit their oak flooring to a high standard, we have provided a list of the other, all too often, overlooked products that are required. Adhesives: These are essentially glues that are utilised to secure the flooring and other additional features, it is important that they are laid correctly to offer both durability and longevity. 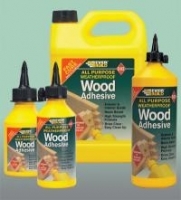 When looking at adhesives it can get confusing, this is due to the overwhelming selection of adhesives that are available for use with the diverse range of flooring types available. 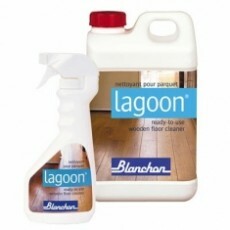 Whether you have selected light oak flooring planks or heavy duty oak flooring planks, engineered oak flooring or solid oak flooring, there is a specific adhesive available. 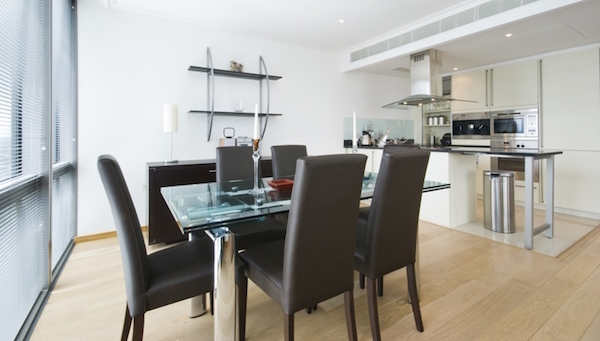 In order to avoid disappointment and obtain the optimum results, it is advisable to ask the flooring distributor that you have purchased your oak flooring from as to which adhesive is most suitable for use. Skirting Boards: This all too often overlooked additional product is essential to make sure your flooring delivers both in style and looks. In addition to the aesthetic quality, skirting boards act as a stop gap between the flooring and the walls to provide a seamless integration and to cover all gaps. You will be pleased to know that the installation of skirting boards can be achieved without compromise to the aesthetics of your interior. 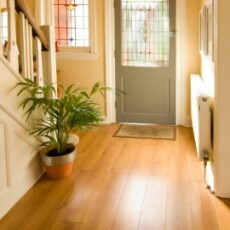 This is due to the diverse selection of styles, veneers and wood types of skirting boards available. 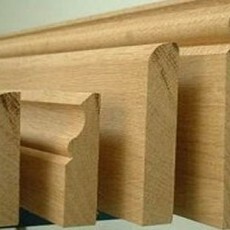 Architrave: Similar to skirting boards, architraves are moulded frames that are fitted around both doorways and windows. Once installed they offer a seamless integration throughout the interior and help to tie the overall aesthetics together. Architraves can be selected to match both the wood type and finish off the other wood features within the interior. In addition, they are available in a number of aesthetics styles, that when carefully selected, can add distinction. These styles include, Ogee, Chamfered, Torus, Scotia, Square and Round Edge, New England and Lambs Tongue. 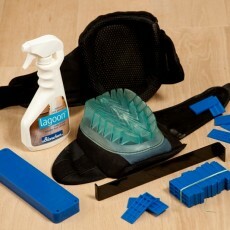 Stair Nosing: This accessory and essential product creates tidy edges on stairs and steps. Stair nosing is applied to the right angle edges of stairs, providing covering and connecting the gaps between the vertical and horizontal planks of each step. Like both skirting boards and architraves. For additional personalisation and character, explore the different styles available. 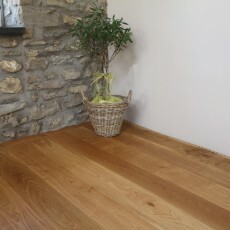 Oak Floors Online are leading suppliers of oak flooring, including solid oak flooring, engineered oak flooring and flooring planks suitable for use with underfloor heating. 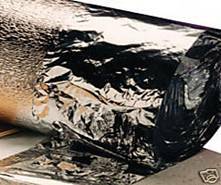 We also supply all additional products and accessories required for successful and seamless integration.